Suzuki DL1000 V-strom lowering kit for year models 2002 to 2013. Lowers the bike by 1 inch and reduces the seat height. Easy to install. Supplied with installation instructions. Lowers the bike by 1″ inch and reduces the seat height will fit Suzuki V-strom DL-1000 year models 2002 to 2013. If you struggle to reach to the ground properly with both feet this lowering kit is an excellent solution to your problem. The lowering kit is installed by replacing the rear suspension linkage tie-rods in the rear suspension with new lowering links. The links in this kit are manufactured in Europe and are made in roll-forged steel stronger than the standard parts replaced. 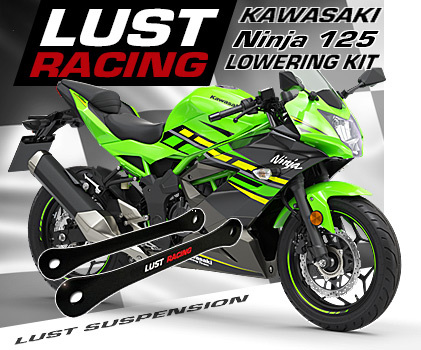 This is a high quality lowering kit made by Lust Racing. Made to last the life-time of your bike. The lowering kit is supplied complete with installation instructions. 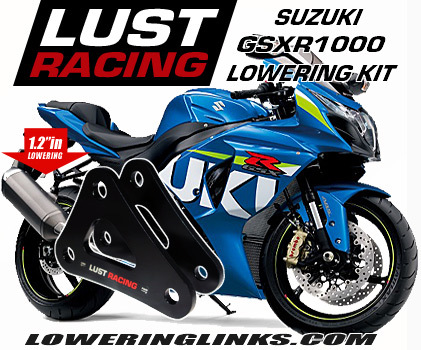 We sell only Genuine Lust Racing lowering kits. We have all lowering kit in stock! We send all orders with tracking code. Worldwide postage is included in our low price! 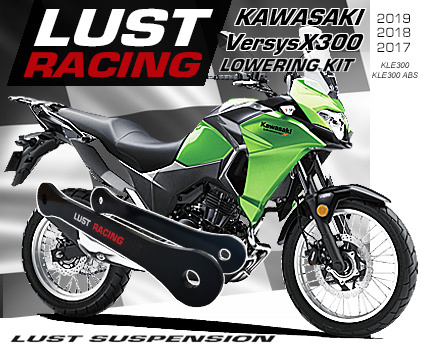 Order your Suzuki DL-1000 V-strom lowering kit today!